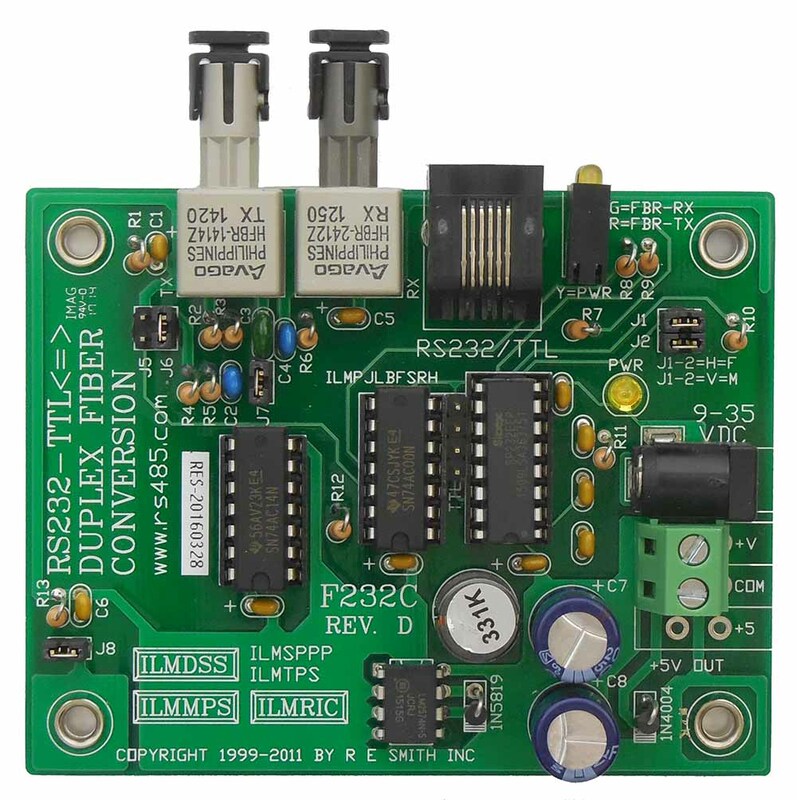 This unit features full duplex serial conversion from RS232C to a pair of ST 62.5 micron multimode ports. 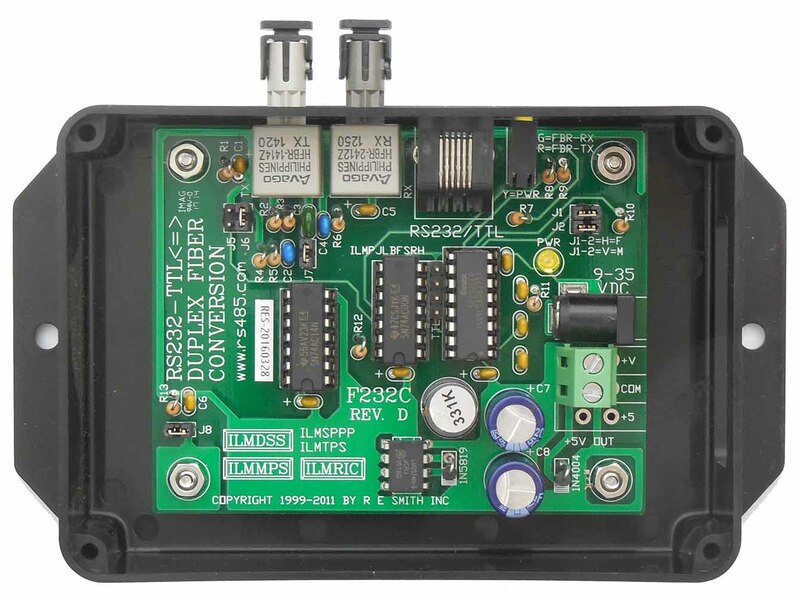 Designed for use in environments not requiring the internal opto isolation, yet maintaining the high isolation features of fiber cable. 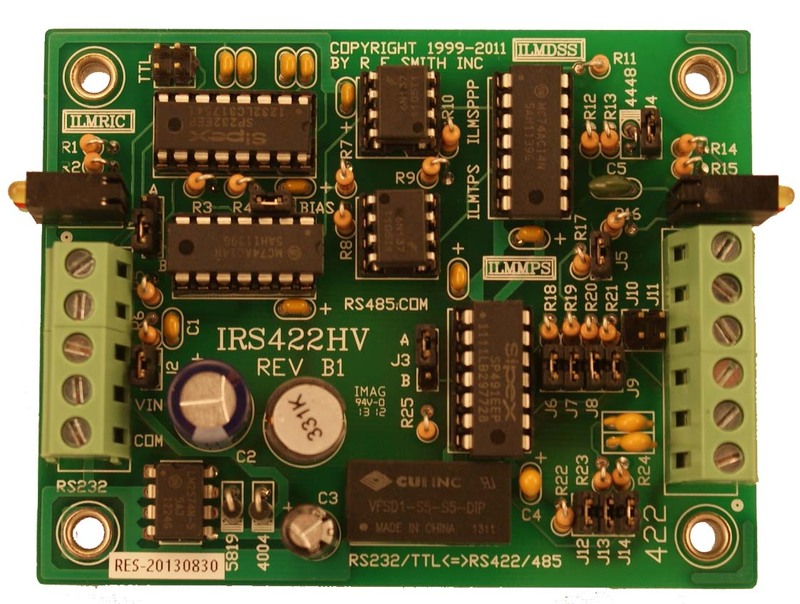 A pair of these units will allow an extented distance connection, 1Km minimum, typically 1mile, with extreme isolation, between two RS232C devices. Transparent to all asynchronous data, with any combination of data, parity, and stop bits, at data rates up to 115.2Kbps. Faster speeds are available, in this, and our other products. No Jumpers or settings ordinarily required. 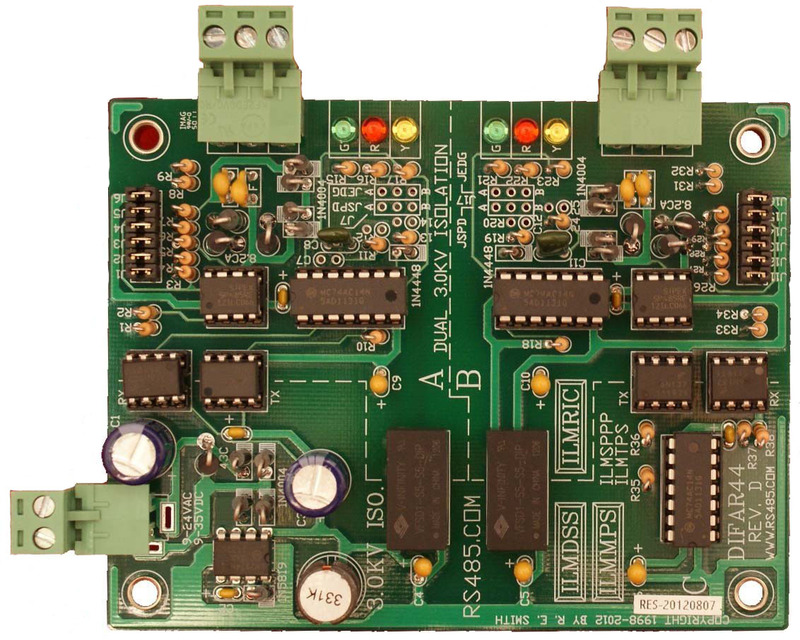 Jumpers J1-J4 allow the RS232C port to be configured as DTE or DCE. Jumpers J6 and J7 can be used to optimize performance under certain speed and fiber cable conditions. 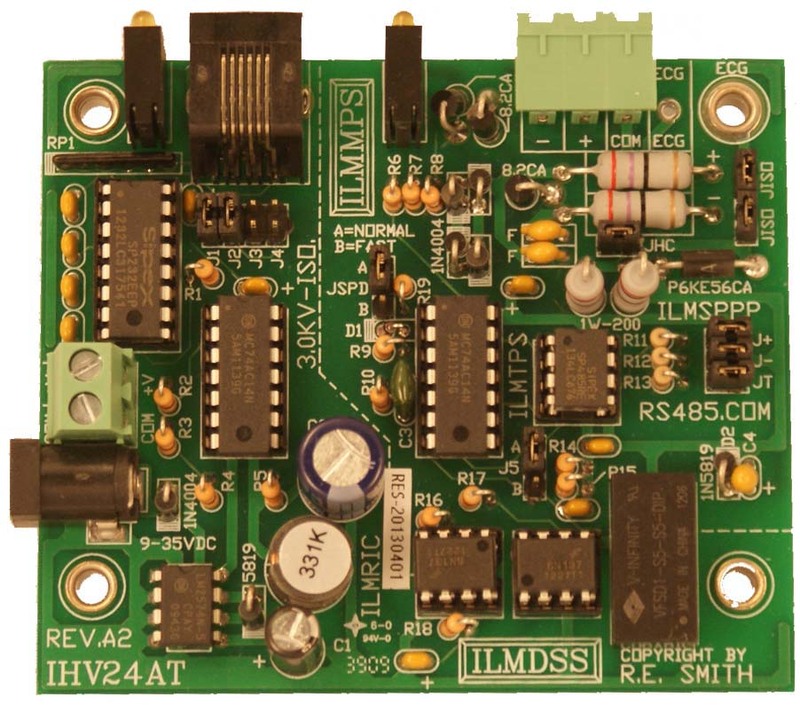 The control signals CTS, RTS, and DSR are provided to be used as required by the user set up. These signals are not required, nor used in any way, by this converter. 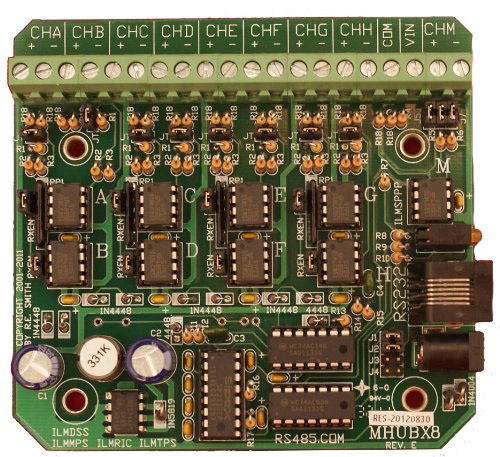 Edge mounted LEDs display power and data activity at the fiber interface. User connections are the two fiber ports, an RJ11/12 jack for the RS232C port, and a terminal strip and barrel connector for the input power. 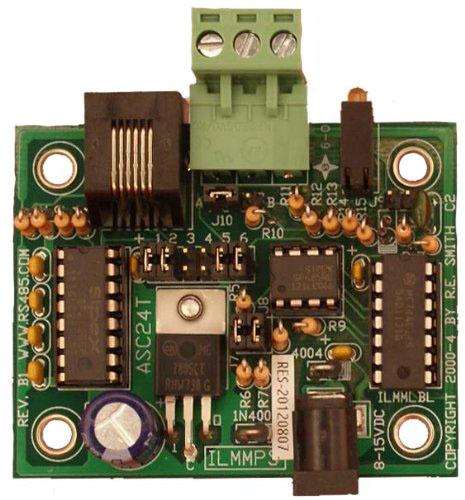 Accessories available are an enclosure, a wall wart power supply, fiber cables, RJ11/12 to DB9(M or F) adapter cable, and conformal coating. Contact us for options help. 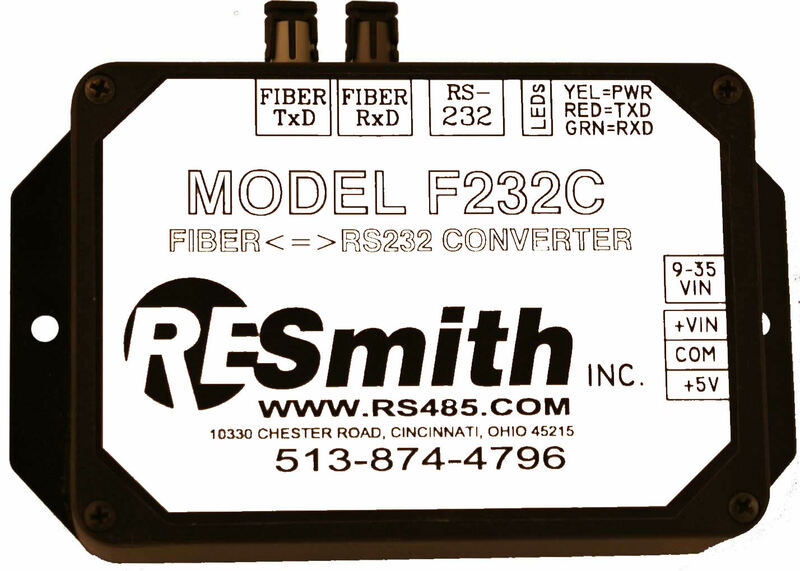 We also have a new series of Converters and Repeaters that extend the RS232C communications distance far beyond conventional limits. Contact us for information on these leading edge problem solvers. 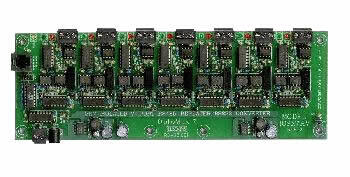 Size: 3.50" X 2.75" X 0.9" (PC Board), with connectors: 3.50" X 3.50"